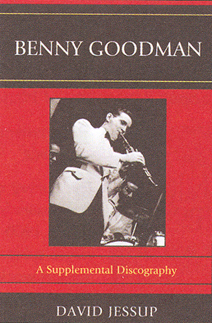 Big Band Library: May 2010 "Big Band News"
For the 100th anniversary of Artie Shaw's birth, author Tom Nolan has come up with an indispensable biography of the legendary big-band leader, virtuoso clarinetist, renegade, thinker, and survivor. Over a course of 14 years (from 1990 until Shaw's death at the age of 94 in 2004), Nolan interviewed him several times. He was, according to Nolan, "brilliant, handsome, outspoken, and unpredictable," and the 430-page book's 57 chapters (named after song titles like I'm Sitting On Top of the World, One Foot in the Groove, and Mucho de Nada) illustrate and often explain quite well both Shaw's still-respected achievements as a musical artist and his repetitive mistakes in marriage. Many of his personality traits (or should that be quirks?) can be understood from Nolan's well-written research into Shaw's unhappy childhood and formative years, in which he only found escape through music and books. More so than in his own autobiography, The Trouble with Cinderella: An Outline of Identity (New York City: Farrar, Straus and Young, 1952), Shaw seems to have, finally, opened up to someone about his personal life, experiences, and emotions. To give a better-rounded (and less-biased) picture of the man, Nolan also talked with 100 others who were, in some way, associated with Shaw - ranging from his former musicians including Zeke Zarchy, Paul Cohen, and Hank Jones; to friends Frederic Morton and Elliot Kastner; to Shaw's longtime personal assistant, Larry Rose, and even one of his two sons, Jonathan. Besides important factual information not previously published, such as the birth year, marriage, and death dates for Shaw's parents, Nolan sprinkles in generous helpings of gossip, including details of Shaw's seven marriages (to actresses Lana Turner and Ava Gardner, et al) and his dozens of affairs, including one with singer Lee Wiley. Nolan has succeeded admirably in weaving together a factual and fascinating story, and, just in the preface alone, makes a number of thoughtful observations, such as that while Shaw had "impeccable taste" as a player, bandleader, arranger, and musical editor, his own behavior with women and friends was "often appalling." Incidentally, quotations of saxophonist Teddy McRae verify how he (and not John Bartee, as some recent sources have erroneously claimed) wrote Back Bay Shuffle for Shaw's 1938 band. Other than hyphenating the spelling of clarinet as "clar-inet" a couple of times, I only noticed one typo in the whole text, when Nolan called John Tumpak "Turnpak." There aren't a lot of photographs in Nolan's book, but what is there - especially a group portrait of Shaw's family when he was a young boy and a photo of him in Chicago in 1930 - avoids overly-familiar images. Shaw was a driven, complex (and, admittedly, often difficult) individual who led a long, full life and had conflicting (and confounding) parts to his personality - and, therefore, would be a challenge for any biographer. I do feel compelled to say, however, that the times I was privileged to speak with him, he was always polite and kind to me. Ironically, as Nolan pointed out, even though Shaw "thrilled millions with his music," his own "most consistent pleasure seemed to come from sitting alone with a book." Too bad Shaw can't read this one, since he always enjoyed well-done music, art, and literature. 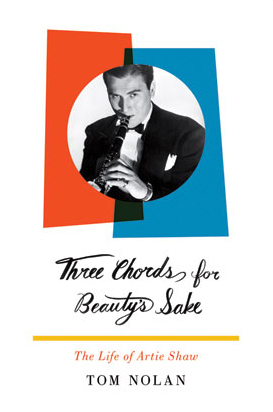 One portion of Artie Shaw's trio of novellas, I Love You, I Hate You, Drop Dead! : Variations On a Theme (Fleet Publishing, 1965), was a fictionalized account of the relationship of dramatist-author William Saroyan and his wife, Carol. In the 1980s, Saroyan's son, Aram, became a friend of Shaw's and has, in a new, 52-page work, Artie Shaw Talking, transcribed comments by Shaw from some conversations they shared. The thin book, published in Los Angeles by Air, contains chapters organized around certain moments or aspects of Shaw's life, including his psychoanalysis with Dr. May Romm; marriages to Lana Turner and Ava Gardner; two trumpeters who played in his band, Chuck Peterson and Roy Eldridge; the effect of McCarthyism on his career; and which side of the family his musical talent may have come from. Shaw was an enthusiastic and colorful raconteur, and, as Saroyan observed, "It occured to me that his talking may have replaced his playing." The speaker, as always, is interesting, but the packaging is plain. The cover to Saroyan's book is quite simple, there is not a single illustration within, and parts of the text already appeared in the Los Angeles Times Magazine and the London Review of Books. English-born Michael Sparke, a retired teacher and recognized Stan Kenton expert, has written a new, 400-page book, Stan Kenton: This Is an Orchestra!, published this month by The University of North Texas Press. Besides providing biographical information about Kenton's life, in This Is an Orchestra! Sparke describes how Kenton's music evolved and critically evaluates Kenton's role as a leader, pianist, and composer. Many of the sidemen who worked with Kenton's band are quoted. I think that anyone who enjoys Kenton's music will appreciate this new title. Eric Aasen. "At 91, Aubrey native Louise Tobin recalls singing with big band greats,"
Dallas [ TX ] Morning News, May 24, 2010. May 14, 2010 [ positive review of Tom Nolan's new Shaw biography ]. copies of his new Shaw biography at Book Soup in West Hollywood, CA ]. [ about 720-pg. social history of Ellington's world ]. record executive Brad McCuen ]. Berigan for each other's talent ]. 2010 [ review of the "Warner Bros. Big Band, Jazz & Swing Short Subject Collection" ]. [ CA ] Chronicle, May 2, 2010, p.FE-5 [ another positive review of Tom Nolan's book ]. Stephen Holden. "'Begin the Beguine' and Other Delicacies From the Shaw Oeuvre,"
Terry Gross' 1985 interview with Shaw on "Fresh Air" ]. three Shaw CDs on Nimbus and latest two on Hep ]. May 23, 2010 [ further positive review of Tom Nolan's book ]. May 13, 2010 [ includes comments by Louie Bellson's widow, Francine ]. one day this year ]. Radio / npr.org, May 23, 2010. 2256 [ recorded 1957-58 and originally released as Contemporary S7555 ]. Records ( Sp ) FSR-CD 580 [ = two 1959 Verve LPs, MG-V8313 and MG-V8328 ]. Caravan, Woodchoppers Ball, Traffic Jam, and Amapola ]. Capitol LPs, ST1235 and ST1413, recorded in 1959 ]. Neal Hefti. "...And the Winner Is: The Award-Winning Songs From 1934 to 1957,"
Book Vol. 1 and 2, CRL757241 and 757242 ]. Gene Krupa. "Plays Gerry Mulligan Arrangements: The Complete Studio Recordings,"
added; NOTE: basic album was released on CD in 2005 as Verve B0002022-02 ]. Capitol ST 1019, with seven medleys of Irving Berlin songs ]. [ = the 1961 LP, Capitol ST 1598, with medleys of fox trots and waltzes ]. ( Japan ) VICP-47005/06 [ 2-CD set; mixture of recordings from various GMO CDs ]. Orchestra: At the Swing Cats Ball," Fresh Sounds Records ( Sp ) FSR-CD 393 ]. Brown, Ray Noble, and Frankie Carle ]. Buddy Catlett, b.May 13, 1933. Bassist with Basie '62-'64. Al Porcino, b.May 15, 1925. Trumpeter with Herman '49 / '54 / '59; Kenton '55 / '60 / '65; J.
McKinley '52; Les Elgart '54; Lawrence '55-'59. Gene DiNovi, b.May 26, 1928. Pianist with Shaw '49; Goodman '48 / '59. Rob McConnell, 75, d.May 1, 2010, cancer. Trombonist with Ferguson '64. Little and Don't Take Your Love From Me '41). Jimmy Dorsey Orchestra directed by Bill Tole. May 15, Brighton, MI. Center, Ipswich, MA; May 2, Capitol Theatre, Rome, NY. Les Elgart Orchestra directed by Russ Dorsey. May 30, Temple Emanu-El , Dallas, TX. "Beijing Jazz Festival," Beijing, China; May 30, Oriental Arts Center, Shanghai, China. MN; May 6, Norway, MI; May 9, Charlotte, MI; May 27, Penn's Peak, Jim Thorpe, PA.
Chattanooga Choo Choo Hotel, Chattanooga, TN. Russ Morgan Orchestra directed by Jack Morgan. May 2, Hilton Hotel, College Station, TX. The planned Atlantic City, NJ gathering of The Vaughn Monroe Society this month was postponed. "First and foremost we just did not receive the number of participants required to make this event worth while (we had one confirmed attendee)," Lou Kohnen and Claire Schwartz, co-founders of the Society, explained. But fans and associates of Monroe, such as his former publicist, Dixon Gayer, continue to encourage them to keep up their good work. "I knew Vaughn very well and I know that he would be so proud of the tremendous amount of time and effort you two have put into keeping his memory alive," Gayer wrote to Kohnen and Schwartz. "He appreciated everything caring people did to make his musical career meaningful . . . To have done all you have done in your love and respect for Vaughn is incredible." cover ©2010 W.W. Norton & Company, Inc.
Great days for Glenn Miller fans next month: the new Glenn Miller Birthplace Museum in Clarinda, IA has its grand opening, in the midst of the "Glenn Miller Birthplace Festival." I'll have some very important news about "Music in the Morgan Manner." 2010 marks the 75th anniversary of the founding of The Russ Morgan Orchestra, which has been led by only two people over all the years - Russ Morgan from 1935 until his death in 1969, and since then by his son, Jack. While Tom Nolan's new biography of Artie Shaw is getting deserved attention from the nation's press, who's going to be leading The Artie Shaw Orchestra on tour this summer? It's not Rich Chiaraluce. I'll reveal the name next time. And I'll provide details of a new, 353-page supplement by collector-writer David Jessup to the Benny Goodman discographies compiled by D. Russell Connor. To whet your appetite, the book's cover is shown to the left. ©2010 The Scarecrow Press, Inc.